After running around all day yesterday, today was a much slower pace. I had a leisurely morning with my beloved coffee and caught up on all the blogs I didn't get to read yesterday. I went to the store to buy really essential things like molasses (so I could make gingersnaps) and tortilla chips (because they were on sale). It's impossible for me to go to the store and not buy a bunch of random stuff. My run today was a nice, easy 2 miles with some bad tv (Vampire Diairies, I'm not proud). My ankle is still hurting a bit, but I might have figured out what is causing it. 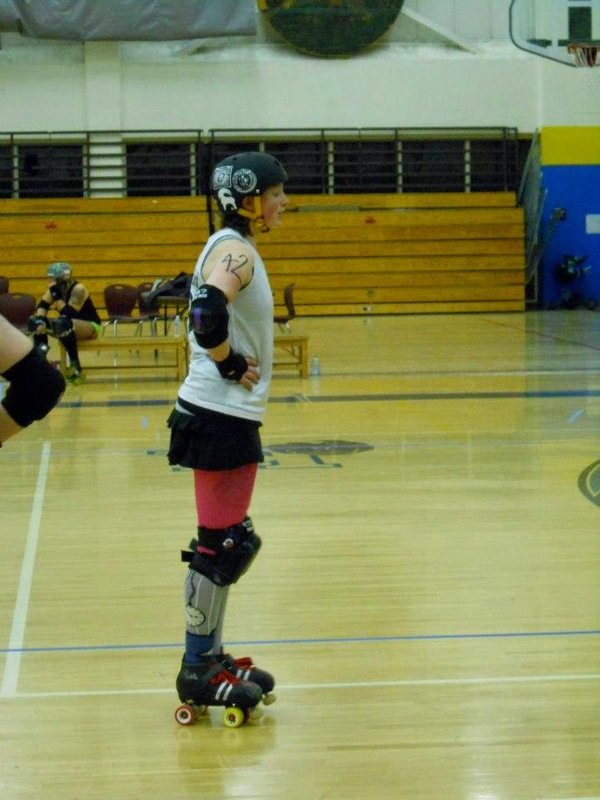 When I first started skating in roller derby, I had a lot of bruising on my ankles from my skates for the first few weeks (months?) of practice. Note the ankle brace above, that was for padding, not stability. I bruise ridiculously easily. I've been wearing a new pair of waterproof boots a lot more lately to walk Buddy, and I think that's what has been irritating my ankle. So, I am taking a break from the boots and we'll see if the pain stays away. I'm also planning on wearing thicker socks the next time I take those boots out. And since I have nothing else exciting to tell you, here are a couple of cute Buddy pictures to start your weekend off right! Cute pup! I actually went to Costco the other day and ONLY bought the two things I needed. The cashier was totally shocked to see someone purchase just two things LOL. Hope that works on your ankle. Loose boots can really rub. I'm sorry for giving you the bruising gene:) and Buddy is cute as ever! Buddy pics are always good! It's Figure Skating Nationals so I am absorbed in that all weekend. My Super Bowl. I really wanted to take figure skating lessons when I was in elementary school - I used to read an ice skating book series, too! We didn't live near an ice rinks though, so that didn't pan out. I am in St. Louis right now to watch my BFF get pinned as chief in the Coast Guard. It's a fun little getaway! I'll be heading home this afternoon though.